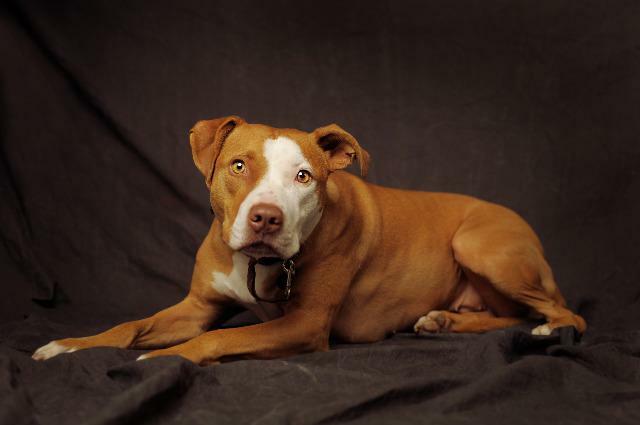 Our featured adoptable animal for April is Lady! Lady is a sweet and fun girl who loves to snuggle. She is a 6 year old, 50 pound Pit Bull. She knows basic commands, is kennel trained and dog door trained. A little timid around new people but she does warm up quickly and then is incredibly loving. Lady thinks she is a lap dog at times and wants to be up close to you. She has to have a blanket or pillow on the floor to sleep on, like the princess she is! Lady is good with children. Some of her favorite things include belly rubs, giving kisses and taking walks. Lady does need to be the only pet in the home. If you are interested in adding a loving companion to your family, look no further! *Dogs are not placed on a first come first serve basis. CAWS to find the perfect home for each animal.